Working at EMA is not just all about software—we are committed to helping the community that has been instrumental in our continued success. This year, we decided to participate in the Ronald McDonald charity event “Wear Your Stripes to Show You Care” campaign. The goal of this annual celebration is to raise awareness of RMHC and educate the local community about RMHC's mission, initiatives, programs and impact in Greater Rochester, NY. You can learn all about them on their website. Over the past month, employees have generously filled our donation box for the local Ronald McDonald house with items from their house wish list. 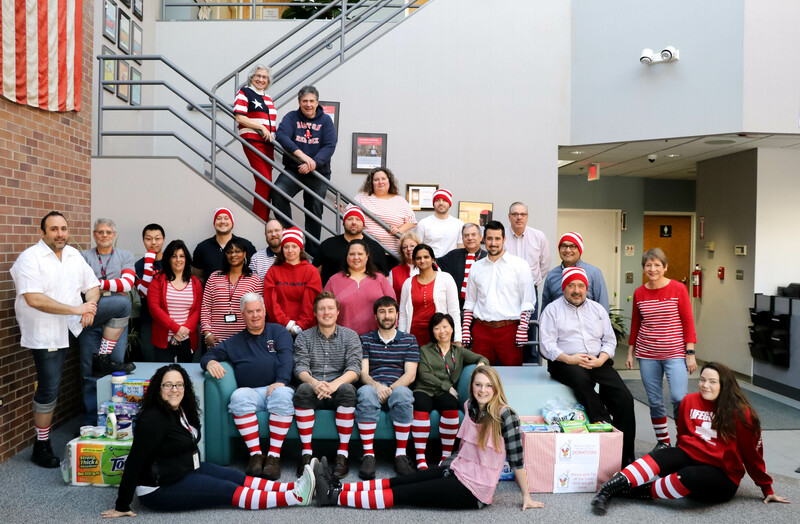 In addition, employees purchased striped gear including hats and socks for the event with all proceeds going to the charity. Today, everyone who participated came together to show their stripes for what we believe is an amazing cause. Today and every day, we #RocForRMHC.